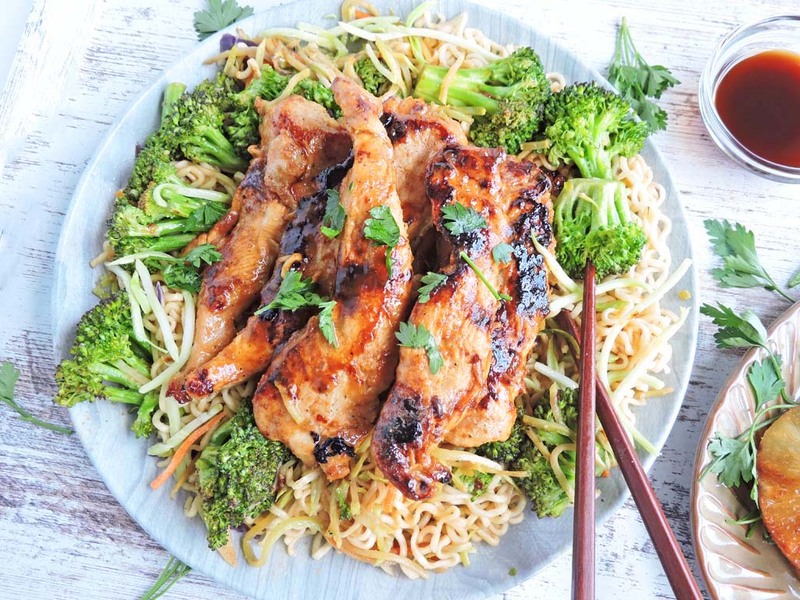 If you’re a fan of ramen noodles then you’ll definitely wanna make this recipe! 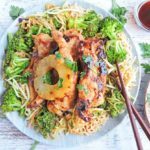 Pineapple Teriyaki Chicken Over Noodles is a super quick and easy meal that the whole family will enjoy! 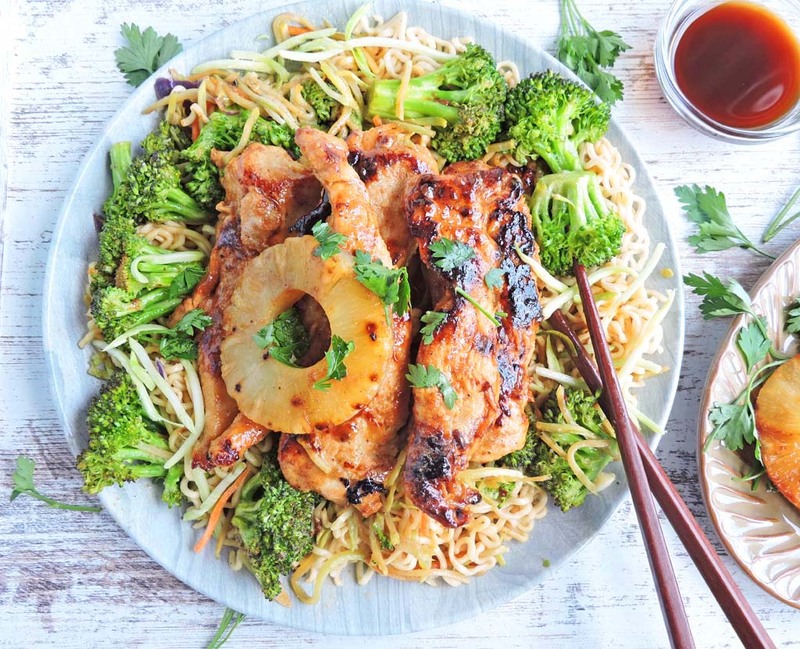 Okay yall, I’ve got another ramen noodle dish for you, Pineapple Teriyaki Chicken Over Noodles! Honestly, I was going to use another type of noodle for this recipe but the hubs had bought 2 huge boxes of ramen noodles, so that was my only option! Lol! Ever since I made my last ramen noodle recipe, which you can check out HERE, he’s been buying those tasty packs in bulk! The thought for this recipe came to mind when I was shopping at my favorite grocery store and saw the most beautiful assortment of pineapple! They had chopped pineapple, sliced pineapple, pineapple chunks, pineapple kabobs, whole pineapple….yeah I know that I sound like Bubba from Forrest Gump, lol, but I was really mesmerized! ? I grabbed a package of the pre-sliced pineapples, a package of boneless chicken, and headed towards the checkout. 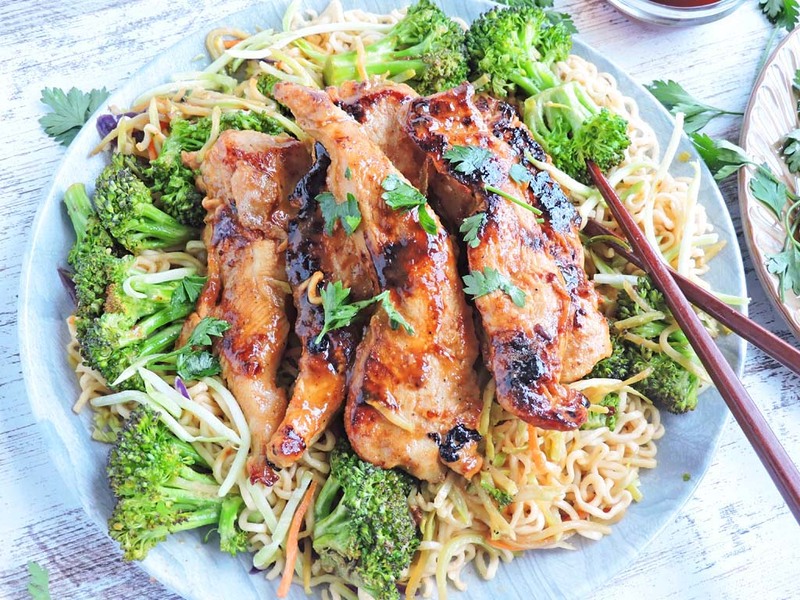 When I got home, I started prepping my chicken with this amazing teriyaki sauce (check it out here Red Shell Teriyaki Sauce 12 fl.oz. ) and the pineapple slices. It didn’t have enough of the pineapple flavor so I opened up a can of canned pineapple slices! I already know what you’re thinking! Yes, I bought fresh pineapple with every intention of using it but I needed some of that pineapple juice in my marinade. Sure, I could’ve pureed or juiced the fresh pineapple, but I was rushing to get dinner on the table so that canned pineapple was my hero! Once I added the pineapple juice to the marinade, it was complete and smelled sooo good! I marinated the chicken in half of the marinade for a few minutes and then cooked it in my skillet! I also added a few of those pineapple slices to give them a good sear! Once the chicken was done, I removed it from the skillet and added my veggies. I sautéed those veggies until tender and tossed in my noodles and added the rest of the marinade. I placed the chicken on top and we were ready to eat! This meal will provide about 4 servings, so I was thrilled to know that I would have leftovers…but after my husband ate his 1st serving (in like 2 seconds lol), he went back for more, so we only had 1 little serving left! I took that for lunch and it tasted even more incredible the next day!! 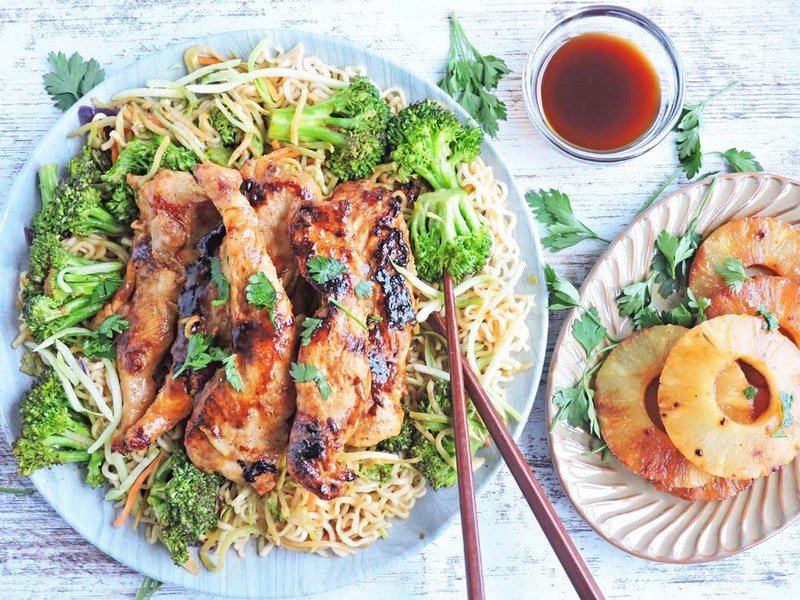 In a medium bowl, combine teriyaki sauce, 1/4 cup of pineapple juice, red pepper, about ½ of the minced garlic, and salt/pepper to taste. Set aside half of the marinade into another bowl, and place chicken in medium bowl. Cover and let sit for about 20-30 minutes. Heat a large skillet to medium heat and add 2 tsbp of oil. Place chicken in skillet and cook until chicken is thoroughly cooked; about 6-7 minutes on each side. Remove chicken from skillet. Add cooked ramen noodles and remaining marinade to skillet. 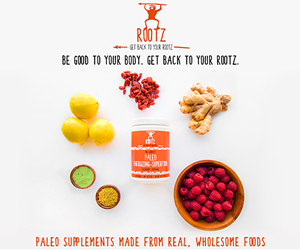 Toss until all ingredients are combined. Season with salt/pepper to taste. Add chicken on top and serve. Made this tonight and it was delicious!! Thank you! I’m so glad you enjoyed it! ? I made this two weeks ago and I’m putting the ingredients on our grocery list for this week. 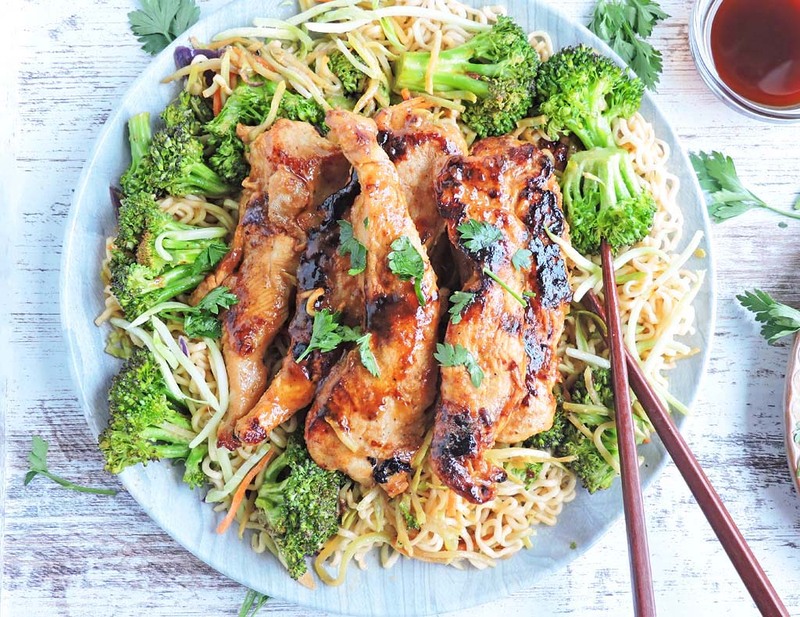 Thank you for such a delicious and healthy take on chicken! Thank you! I’m so glad that you enjoyed it!! ?